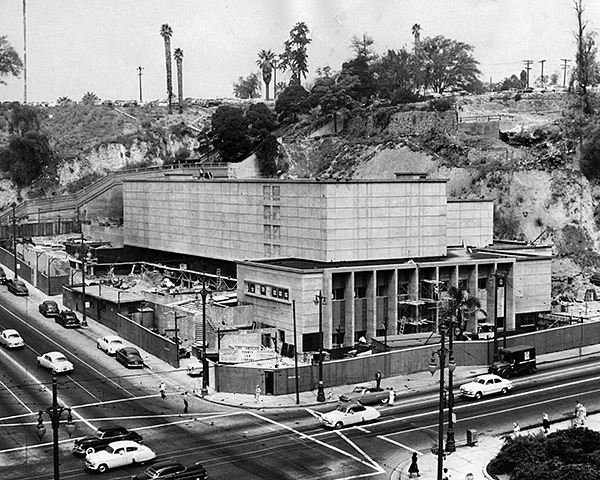 1953: The Los Angeles County Law Library at 1st St. and Broadway near completion. This photo was published in the Sep. 2, 1953 Los Angeles Times. 1953: The Los Angeles County Law Library at 1st St. and Broadway near completion. This photo was published in the Sept. 2, 1953 Los Angeles Times. Image of County Law Library used in 1955 Know Your City photography series.